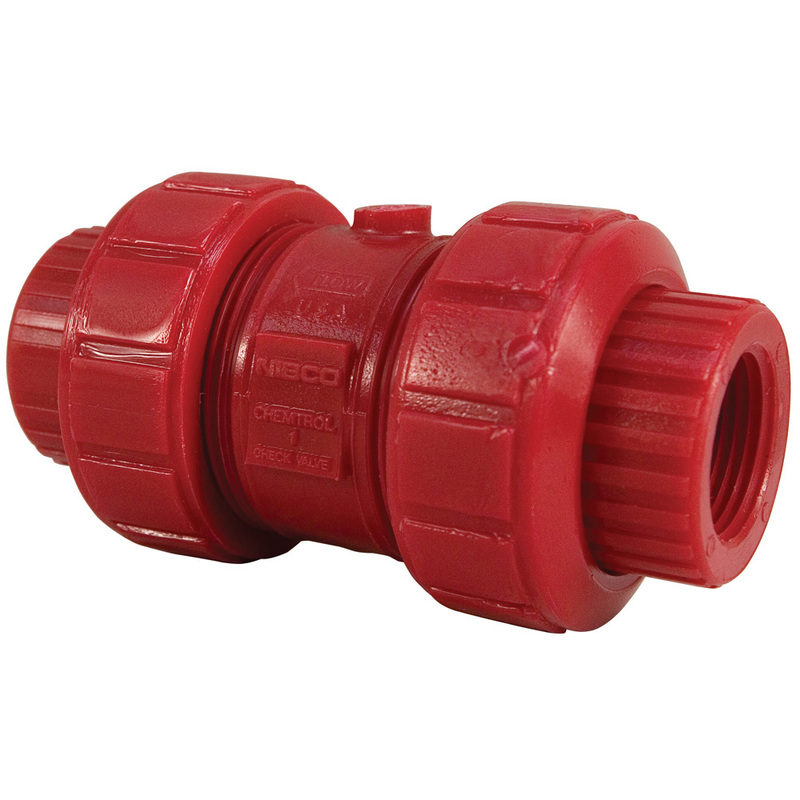 3/4" Chemtrol® True Union Red Kynar® PVDF Check Valves | U.S. Plastic Corp. These check valve stop the flow of media in one direction while allowing flow in the opposite direction, all with minimum turbulence and chatter (and while maintaining pump prime). The valve's injection molded polyvinylidene fluoride construction is ideal for use with hot corrosive liquids, chemical processing, industrial plating, waste treatment systems and outdoor installations. The original Chemtrol® True Union design allows the valve and operational components to be conveniently lifted from the piping system for repair or replacement. Chemtrol® Kynar® red PVDF exhibits superior strength, working temperature and chemical resistance characteristics. It has versatile chemical resistance to slats, strong acids, dilute bases and many organic solvents such as aromatics, aliphadics and chlorinated groups. PVDF is also ideally suited for handling wet or dry chlorine bromine and other halogens.